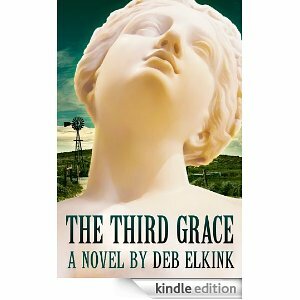 My guest today is author Deb Elkink. Deb grew up in Winnipeg, attended university south of the border in the Twin Cities, then married a cowboy and moved from her bright lights to his isolated cattle ranch in Saskatchewan, where she learned to fly an airplane, round up the herd on horseback, and cook for branding crews of a hundred. She published a few early stories, then focused on her role as ranch wife and mom until returning to academic studies rather than succumbing to an empty nest. Today Deb and her husband live in a cozy cottage on the banks of a creek that runs through their acreage in southern Alberta, where she writes at her kitchen table to the music of the wind in the grasses. Janice: Hi Deb. I’m excited to do this interview with you. After reading your book, The Third Grace, I have a new appreciation for your knowledge of Greek mythology, of various cultures, and of your writing skills. What is your background in writing? What areas of writing you are involved in besides fiction? DEB: Thanks for the opportunity to chat with you, Janice, and for reading my novel—always a great compliment! I was raised in a very creative home and decided I wanted to be a writer when, at age nine, my poem was printed in the elementary yearbook. My first degree (BA Communications) trained me in freelance writing and, many years later, my second degree (MA Theology, 2001) spring-boarded me back into active writing. I applied my new skills toward academic editing, acted as staff writer for several years with a cross-Canada professional quarterly, and most recently added reviewing for a fiction site that welcomes my theological critique. In my blog I follow cultural and literary images found in the Bible—a sort of word study. These nonfiction forms of research and writing have sharpened my skills and prepped me for fiction. Janice: Can you tell us what brought you to fiction? DEB: My earliest influences include my mom’s imagination as a visual artist, my dad’s yarn-spinning around the fireplace, and my insatiable lust for Nancy Drew. Formal learning has always been a major stimulus for me: I received top marks for story analysis and composition in high school, and this pushed me on to postsecondary studies where one prof, a writer herself and wife of a well-known theologian, mentored and encouraged me. Next, I found that the best part about home-teaching our kids for fifteen years on the ranch was our genre-based approach to all our projects, which enriched my own exposure to the literary classics. My subsequent seminary studies were so rewarding that I sometimes today contemplate returning to scholarly pursuits in order to learn more about—especially—British literature (my graduate thesis focused on how the Victorian writer G.K. Chesterton used the image of the tree in his fiction to symbolize Christian beliefs). All of these influences combine with my high view of Scripture to convince me that reader interest in the truths and principles of the Word can be effectively stimulated through a great fiction story. DEB: I dedicated my first novel to the younger woman, who—though perhaps raised in faith—has turned away from God: “To all my lost sisters wandering alone out of earshot—His voice still calls.” My current novel again focuses on relationships (and a hidden theology); I hope it will appeal to a wider audience—again, not necessarily Christian. I believe fiction can “slip past the sleeping dragons” (C.S. Lewis) of my readers’ resistance to truth. Everyone is starving for God’s Word, but often readers don’t recognize their hunger pangs unless their emotions are first engaged through their senses. Janice: How do you write, Deb? Are you a very disciplined writer or do you have to force yourself to stay in the chair? Do you work on more than one project at a time, and do you edit as you go? Do you outline or are you a seat-of-the-pants writer? DEB: I tend to be a binge writer focused on one story to the exclusion of all else in life—just ask my husband! I wake up in the mornings to sit at my computer all day, not even dressing until I put on sweats for afternoon exercise on my elliptical in front of Dr. Phil. As for process, I first plot my complete novel outline using pen and paper, then continually research and edit as I draft on my laptop—though this means I often don’t get many words written in a day. Immersing myself in each line and paragraph of each scene is a pleasure for me, and at this stage I allow myself as much time as I need until I’m fairly satisfied with the page. Janice: Your debut novel—The Third Grace—was released in 2011. Can you give us a brief summary of the storyline and what inspired the original idea? DEB: An urban costume designer can’t escape the flood of memories from the summer she was seventeen and fell in love with the French exchange student visiting the family farm, who whispered enthralling Greek myths into her ear and set her longing for something more than her family’s simplistic faith. Now thirty-two and still single, she’s leaving for Paris on work assignment when she discovers a Bible he left behind, its margins full of his handwritten, sensual references to their long-ago romance. She searches for him through the text and the streets of Paris—and finds herself in the process. I came to the story on my first trip to France in 1989, when I discovered a marble statue grouping in the Louvre of The Three Graces of Greek mythology. These goddesses came to symbolize to me relationships among women as well as the twisted spirituality implicit in mythology. I was at this time still living on our remote ranch, and the contrast between city and country, aesthetics and common sense, sophistication and practical living really hit home. I’d succumbed to the enchantment of the French (cuisine, couture, and culture) and wanted to explore the gap between it and my own heritage rooted in the Mennonite faith. Janice: I must mention here that you were the winner of the 2012 Grace Irwin Award. 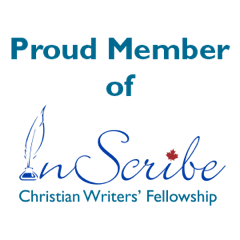 This is Canada’s largest literary prize for writers who are Christian, so it’s quite an accomplishment for a debut novelist. Congratulations! DEB: Thanks, Janice! It was a real surprise for me, I must say, and gives me deep encouragement today to keep on writing. DEB: I would be nervous about writing scenes with friends or acquaintances in mind! My characters are almost completely fictional, although most of the personality traits belong to someone I know; for example, the wise boss in The Third Grace is an abstract remix of Chesterton and my mother-in-law combined with some philosopher I’ve never met. I try to keep my characters in line as I draft; they often want to break out on their own but, when I allow this, the storyline inevitably suffers, so I’m quite stern with them. Janice: Where is the book set and why did you choose those particular settings? DEB: I grew up in the city and “suffered” the trauma of moving to the countryside, and my character makes this same transition the other way around (from Nebraska farmyard to uptown Denver)—both of us experiencing the juxtaposition between rural and urban settings. I love Paris (I’ve been there half a dozen times, as recently as this past summer) and my character has the same romantic emotions I feel whenever I dream of stepping foot on Gallic soil. I originally set the book in Calgary and the Saskatchewan Sandhills, with the visit to Paris a focal point, but my agent requested I change the North American locales to places in the States. My next novel retains more Canadian content. DEB: Overwhelmingly it was my slow writing style; I took many years building up a head of steam and finally getting the ideas down in readable format, floundering when an early draft ended up in the drawer for more than a decade. I battled insecurity about getting this book written in between the real-life activities of marriage, childrearing, education, and social and spiritual growth. DEB: Interesting to me, it was again my slow writing style; I believe in savoring each moment of my day and my life, which consists of much more living than only my imaginative writing. Janice: How would you categorize The Third Grace? What take-away value is presented? DEB: The Third Grace is a story of return: God calls us back to Himself through the Bible. Janice: For those of us who are also trying to promote our writing, what media have you used to promote The Third Grace, and how would you evaluate the effectiveness of those avenues? DEB: Sadly but honestly, I admit to disappointing book sales despite the shiny “award” sticker on my novel. In the year following publication, I signed up with an online agency that put me on virtual book tour at substantial cost in time and money for very little discernible gain. I’ve had fairly good local newspaper coverage, but I’ve been invited to interview on only a couple of the many TV and radio shows I’ve contacted. 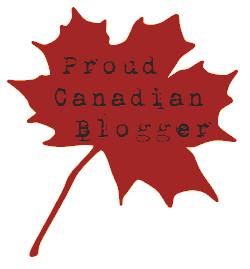 I continue to appear now and again as guest on various author blogs, I keep up a Facebook presence (not yet Twitter), and I continue to build an email list of supporters. I enter contests, give away copies of the novel when speaking, distribute the book locally (and of course on Amazon and the like), and shamelessly hand out informational postcards to strangers on the street. At the end of the day, I see my greatest marketing opportunity to be publication of my next book. DEB: My husband, Gerrit, and I will celebrate our fortieth wedding anniversary this fall (fingers crossed that he’ll surprise me with some exotic vacation)! After my first two decades as Manitoba city girl and my next two as Saskatchewan ranch woman, I continued my homemaker status in Alberta for this third two-decade portion of life when my husband took on work in the oil-and-gas sector back in the mid-nineties. We have a close relationship with our three grown children (data administrator, family physician, and power engineer), and I try to entice them home to the acreage for a meal every week or two. As for hobbies, I love to sew and am currently awaiting an order of silk and cotton from a great online source! I’ve inherited my mother’s soup-making abilities, as well, and am working this into my next novel. I like languages and have studied a few—though my tongue ties when facing a native French, Spanish, or Japanese speaker. I get out on the ski hill every couple of years (yeah, I’m not really athletic). I’m crazy about travel and have so far visited about thirty countries on five of the seven continents of the world. Janice: What are you working on now in your writing career? DEB: I’m currently in drafting mode, consumed by my second novel with its message that everyone is looking for inner peace, a place of rest for the soul. A salesclerk, pushing fifty and being hounded by a homeless baglady, is on the verge of her first house purchase while her zany new-age friend is begging her to instead spend her money accompanying her to “sacred sites” around the world. Rather, she tours a historical mansion museum to discover her own heritage and the true meaning of home. 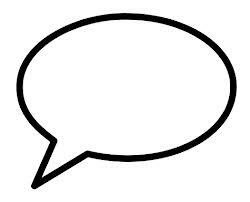 Janice: Do you have a thought or encouragement for other writers? DEB: I suspect some of your readers become frustrated like I do when production is slow, impatient to be used by God. Rather than viewing my writing as some special “calling” that I must fulfill, I see it more as a privilege granted me when I called out to God from the desires of my heart in asking to serve in this way. I believe that, first and foremost, He wants my joyful response to Him in everything I do, writing related or not, to His glory (Col. 3:17). This understanding releases me to live each day peaceful under His sovereignty. I relax, as well, after making a reasonable effort as far as marketing, knowing that He cares more than I ever can about how His message is presented to the readership. So my encouragement for other writers is to rest in God rather than frantically writing or promoting, and trust that He will shed His glory in His way through our words, work, and—most of all—daily attitude. DEB: Thanks again for having me!